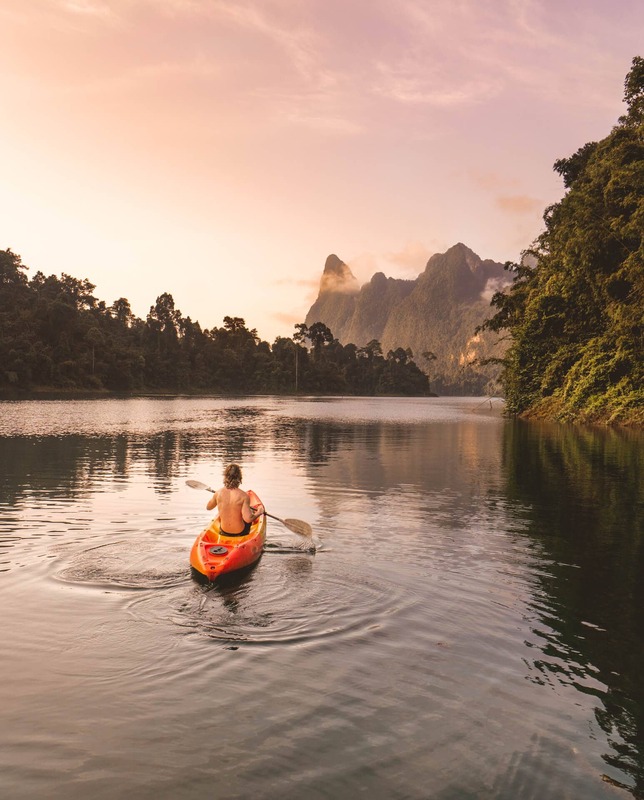 Khao Sok National Park is a huge national park in Thailand which belongs to one of Thailand’s best-hidden gems. 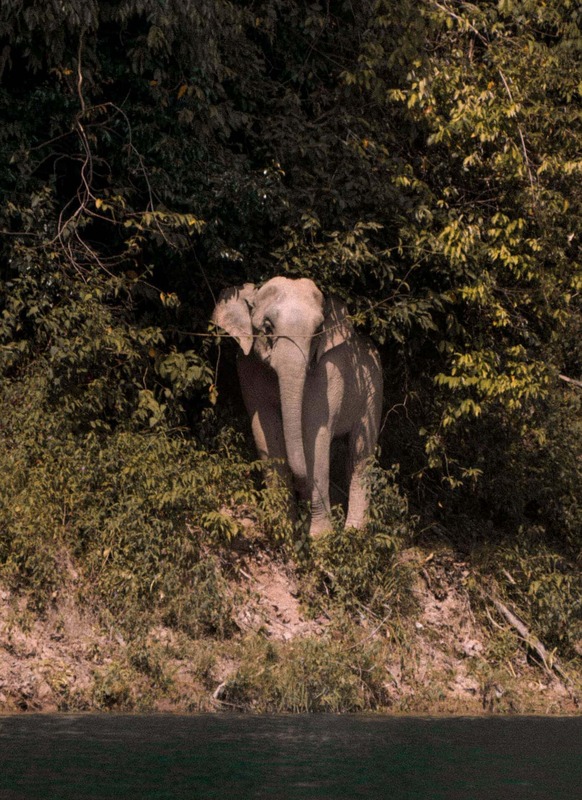 The park is home to wild elephants, gibbons, hornbill birds, and even black tigers! 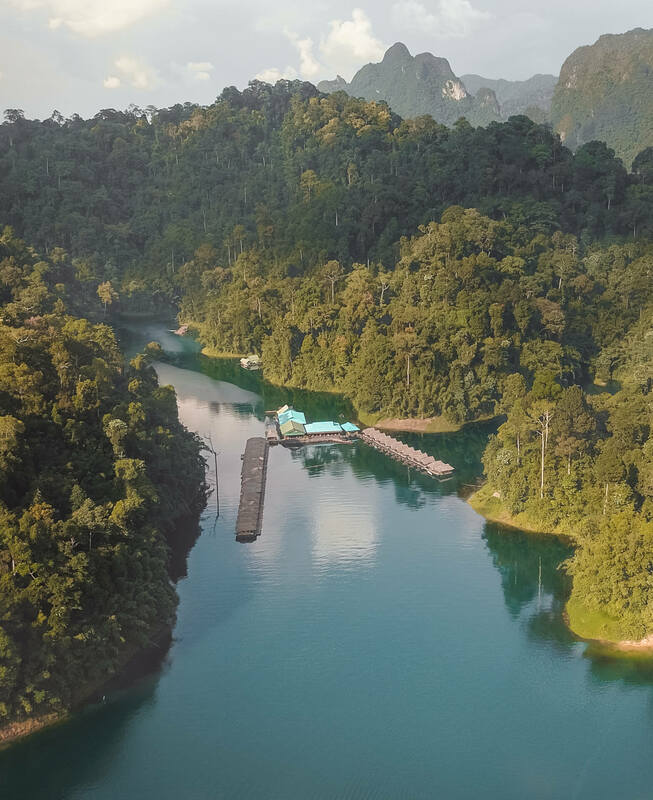 During a Khao Sok National Park tour, you will stay in a raft house on Cheow Lan Lake, a man-made lake, originated by flooding the jungle to build a dam which now creates power for the entire region. Ready to be disconnected from the world for a few days? Ready to wake up in the morning mist of the jungle while the gibbons are shouting to each other? Pure Magic. 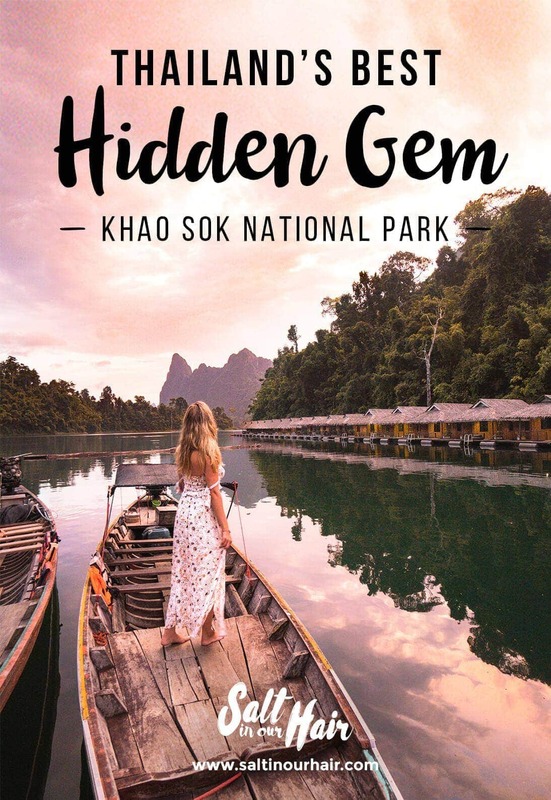 Khao Sok National Park is huge, about 739 square kilometers. It’s good the know that the village is not the same as Cheow Lan Lake. These are actually about a 1-hour drive removed from each other. Make sure to book a raft on the lake. The Lake is made just 30 years ago, after the flooding hundreds of limestone island were created which gives this lake it’s unique look. The price of a bungalow changes by the kind of comfort you choose. A Bamboo bungalow will cost you anywhere between $75 – $178 per night where luxury bungalows range from $250 – $400 per person. These stays include breakfast, lunch and dinner, guided tours and trekkings. 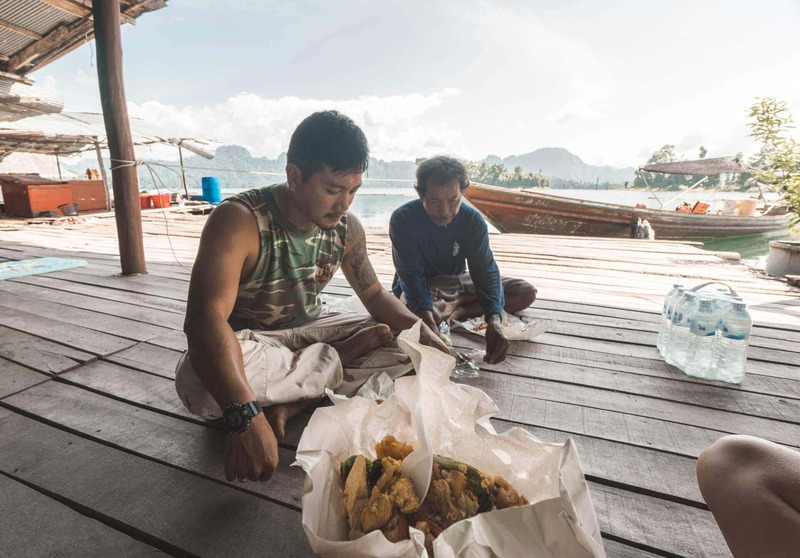 Their own raft-restaurant offers incredible Thai cuisine. Literally the best we have had in Thailand. We will promise you this area is worth every single dollar! In the morning you can explore on your own with a kayak during the morning mist and see the monkeys jumping around in the jungle. 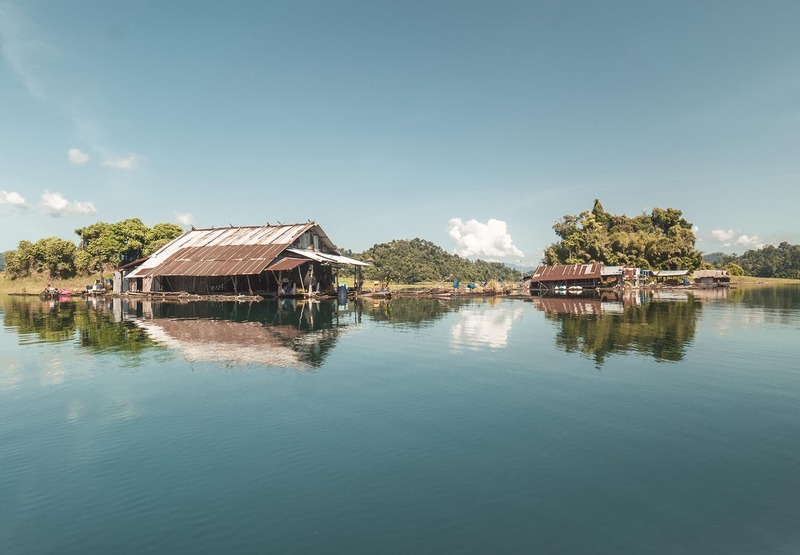 To spend the day you will do incredible things like exploring the surreal area by boat, hiking through the jungle, spotting wild elephants, monkeys, cows, deer and pigs during a wildlife safari on a boat and exploring a cave. And if you’re lucky you can have lunch at one of the few super small fishing villages, also located on the water. 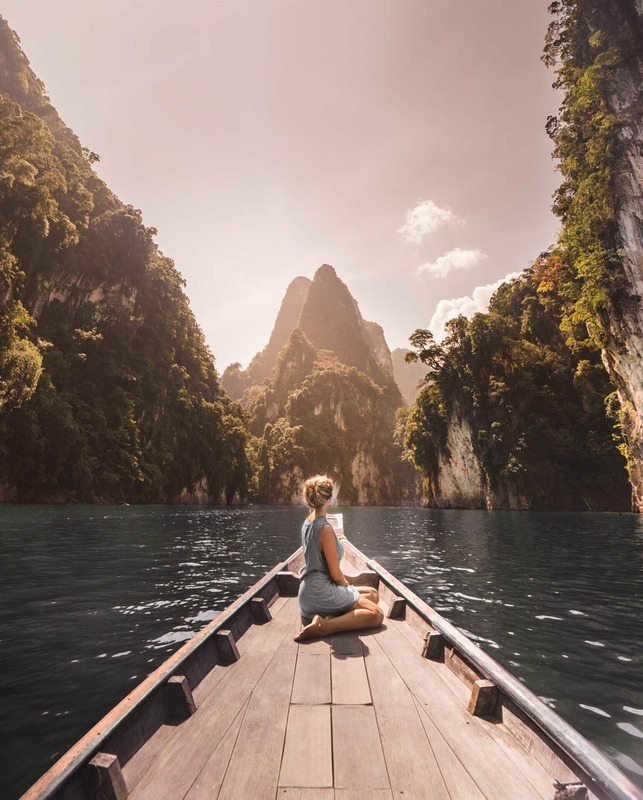 Every corner you will pass with the boat on a Khao Sok Lake Tour becomes more and more impressive. At night, the sky shows countless stars. Maybe the best part, almost no mosquitoes on the water where you are staying. Of course, it can be done cheaper but this is just a once in a lifetime experience you shouldn’t save those few dollars on. Tip: Don’t forget it’s so green for a reason. It can rain quite often in the jungle. Staying on the lake is doable for every kind of budget. You will have the choice to sleep on the floor in a dorm raft house or you can have a private raft house including a bed- and bathroom. On the day of writing this, you can’t find any raft houses on Booking or Agoda. 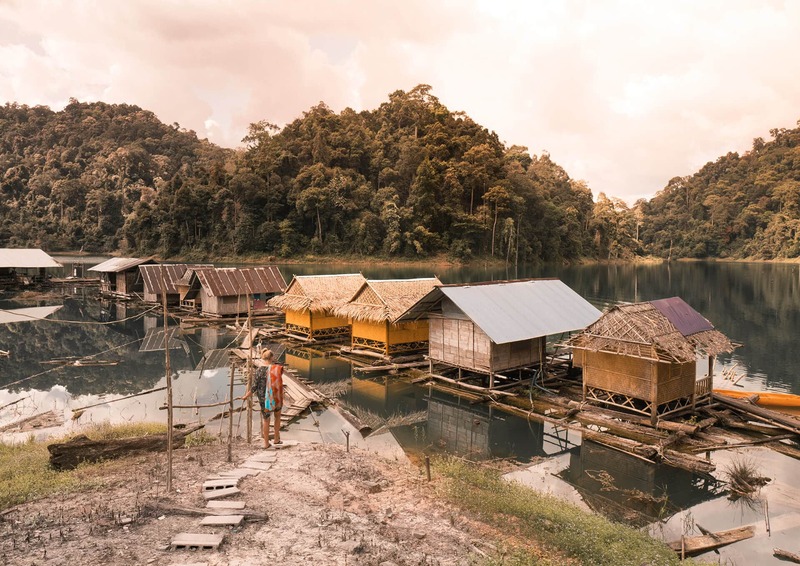 We booked our stay at Praiwan Raft House and Khao Sok Lake tour via khaosoklake.com. Praiwan Raft house is a lovely family who gives you that ‘home away from home’ feeling. The raft house is located at the end of the lake, a unique location. Which means you won’t see many boats passing by. 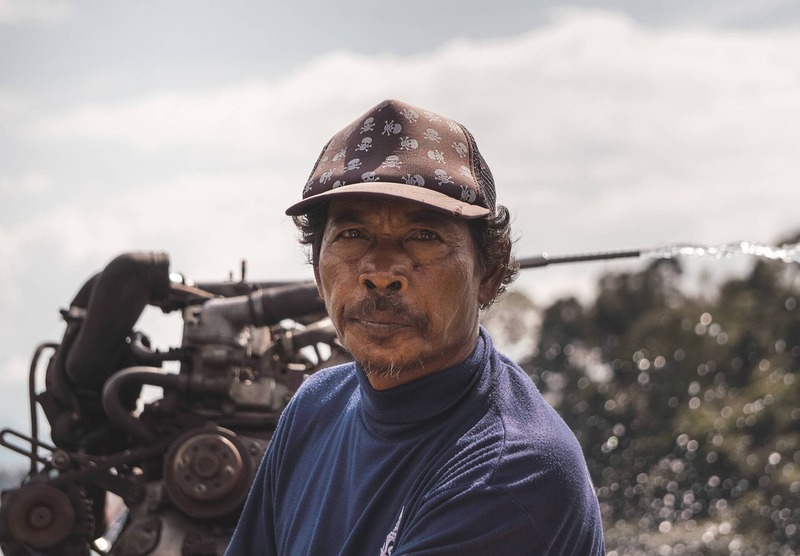 Get a great stay and unforgettable tour in one package via the guys of khaosoklake.com. 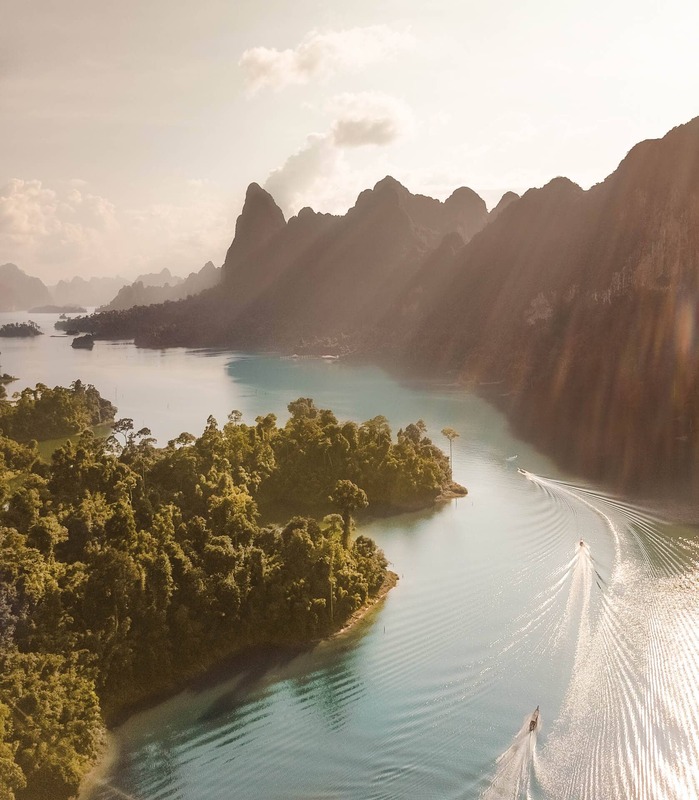 It takes 1.5 to a 2-hour drive to the entrance pier of Khao Sok Lake from both Krabi and Surat Thani airport. The entrance to the park is 300 Bath. From here your guide and the driver will pick you up for a 30-minute boat ride to your raft house.